Homes today are not just about quality construction, beautiful landscaping, and state-of-the art architecture. Modern home designs are intended to accommodate the family’s lifestyle. Technology has brought us tools to maximize security, manage energy efficiency, computerize cooking, monitor babies, and command entertainment with voice-activated or preprogrammed computers and robotics. Some new artificial intelligence devices and systems are perfect for some active families when time for mundane home duties may be limited. One system, the Duo AI Home Computer, looks like a mirror yet allows individuals to control smart devices with voice commands. With this artificial intelligence device, you can control lights, set temperatures, watch the news, check the weather, play videos and control your home entertainment system. You may access and download any apps that might be useful in your life, and the system will learn to respond to any voice. For energy efficiency and convenience, control over your HVAC can be managed through your smartphone. While the concept is not new, the capability continues to advance. For example, with the cloud-based AmbiClimate 2 app, homeowners can control the climate in multiple rooms remotely. The device eventually learns your tendencies and can be allowed to control temperature and humidity automatically. Operational even while you are away, the latest artificial intelligent robotic vacuum cleaners have dual camera sensors to map the space ahead while scanning the floor itself to clean where needed. These come with anti-collision sensors to clean right to the wall or other obstacles. Also, when the unit is running low on battery power, it travels on its own back to the recharging area. Ready to go again, the unit travels to the spot where it left off and resumes its mission. NETATMO Welcome is more than a security system. This artificial intelligent integrated system begins with door and window sensors that alert homeowners that an intrusion may be occurring. The system comes with a Smart Siren to scare off those potential intruders. Also, the system comes with a smart video doorbell that allows you to see who is at the door. Thus you can answer (or not) from anywhere. Cameras can also pick up movement anywhere on the property. 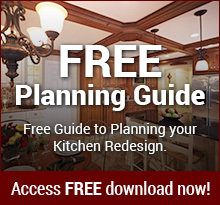 Are planning to renovate and upgrade a home or thinking about a substantial remodel? Homeowners should consider working with a design build team. Therefore making sure the home supports and can easily integrate modern technological devices designed to bring efficiency, safety, and convenience. Most do not require significant design alterations to adapt to the latest tech products. Since some devices operate independently without special hookups. In any case, planning ahead is always important. 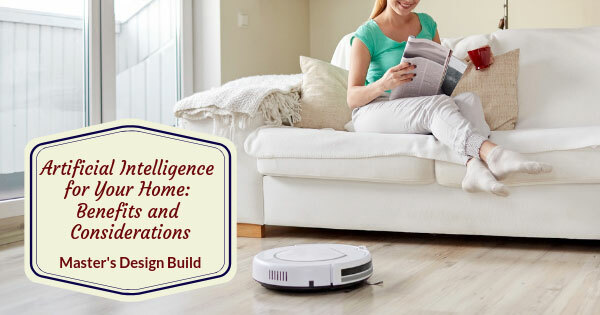 If you wish to consider modern artificial intelligence in your home, working with a designer, who also happens to be the builder, is the best way to ensure your project is accomplished seamlessly without misinterpretation.Master’s Design Build is headquartered in Hatfield PA, serving Montgomery and Bucks Counties and surrounding areas. With over a decade of experience, the Master’s professionals have helped homeowners realize their dream. Visit the Master’s Design Build website to view their gallery of some dramatic and remarkable remodels, restorations, and additions.